Are Airline Taxes Income Tax Deductible? Hello, Can I deduct taxes that I'm paying on airplane tickets? I'm flying to Europe very often and my ticket can cost around 450$ + 350$ are taxes...can I do something with that? Comments for Are Airline Taxes Income Tax Deductible? 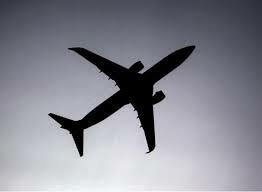 Typically, you can deduct the entire cost of your airline ticket as a travel expense income tax deduction.